There is a time we need to stop and just celebrate. As you may know I love to self critic myself. Seems like a lot lately. Today though... I AM PROUD OF 200 DAYS!!! Looking back I have made it pretty far and have learned a lot through both my mind, body, and soul. I recognize that I am very hard on myself. For instance today... I want to say things like "200 days is nothing, people have been doing yoga for 50 years." "People do not care." ect. I recognize these self imploding traits and am going to make small changes in my life. 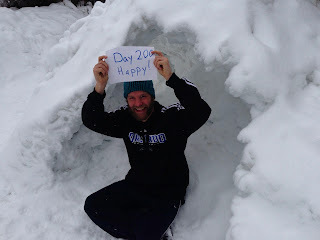 I am telling as many people today about my 200 days and be proud of my accomplishment. I am doing yoga308 ultimately for me, but I need to stand up and be proud of the things that I do. Not to show how good I am or that I am better then someone else, but rather be proud of who I am. 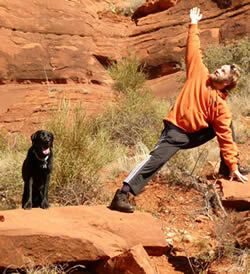 Tonight I am going to Yin Yoga with Lindsey Barr. It is the perfect way to celebrate 200 days. Yoga has many thoughts that come and go. Reading back I show a lot of different thoughts, ideas, and traits. Some are temporary, some repeat themselves, and some are harder to recognize. The big things moving through my life now are. - Stop being self demanding. Today I am happy and grateful that I have the mind, body, and soul that allowed me to accomplish the past 200 days. Today let us all find the love, joy, and acceptance that put us right here today and in the now. BE HAPPY!! !